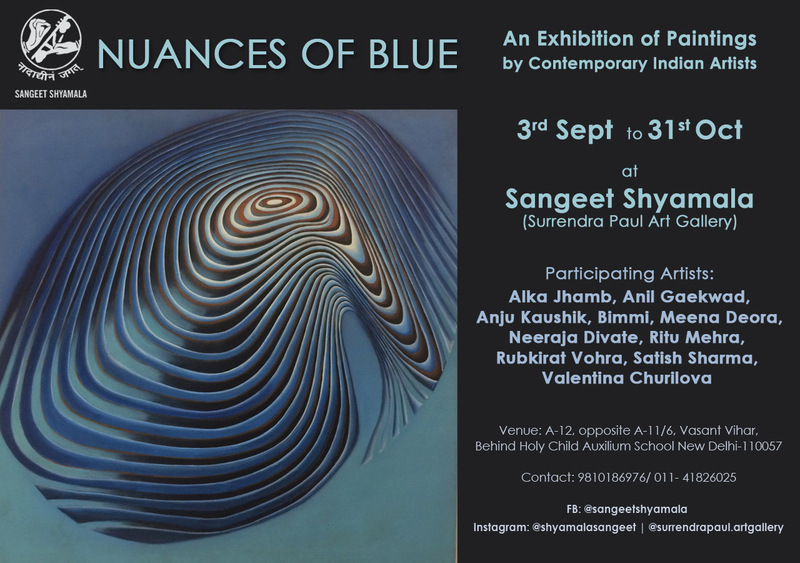 “Nuances of Blue”-an art exhibition showcasing a group of ten young and emerging contemporary Indian artists, who have creatively explored the colour blue in their expressive artworks. On view are heavy impasto paintings, as well as thin transparent layered works; quirky takes on everyday objects ,optical illusions and an exploration of urban themes. 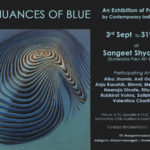 The talented artists in this exhibition,who have won recognition in the form of scholarships and awards, include Meena Deora, Satish Sharma, Rubhkirat Vohra, Anju Kaushik, Valentina Churilova, Alka Jhamb, Ritu Mehra, Neeraja Divate, Anil Gaekwad and Bimmi Khan. This exhibition presents an opportunity for young and first time collectors to acquire carefully curated artworks by accomplished artists at an affordable price. It would give us great pleasure to have you drop by and experience the exhibits.